Kathryn has 18 years of human resources experience. She has held various HR business partner, HR shared services, HR center of excellence, and project roles in Houston, Bartlesville and now Alaska. Kathryn joined the company in 2004 as an HR business partner for the IT function. Following a project to implement Manager Express, she became supervisor of the employee data team in 2006. From 2008 to 2011, Kathryn supported the HR general manager in an HR business partner role with a focus on global initiatives. Kathryn then spent one year in the Compensation group with HR responsibility for VCIP, benchmarking of jobs, and compensation analysis. In 2012, Kathryn assumed the position of Director, Employee Data Management with a focus on data privacy. Kathryn then provided HR support to the financial shared services function in 2016 before assuming the role of Employee Relations Director in 2017. 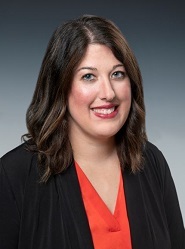 Kathryn assumed the role of Manager, Human Resources for ConocoPhillips Alaska in September 2018. Kathryn earned a Bachelor of Science in psychology from University of Houston and a Master’s of Science in Industrial Organizational Psychology from Kansas State University. Kathryn also holds senior professional in human resources (SPHR) and global professional in human resources (GPHR) certifications from the Society of Human Resource Management.